Having descended Marl Hill you are enfolded into the green heart of the Bowland Badlands as you arrow through Easington Corrugations. It’s never flat here, and soon you commence on a rolling upwards trend as the route heads south once again on Smalden Lane. This lolloping rise and fall culminates in you cresting Beacon Hill and tipping over the edge into the river valley below, with the market town of Clitheroe glistening in the sunlight right in its centre. The beautiful haze from that big factory in town as you go down is truly a sight to behold. Do they manufacture cement or just burn the dreams of cyclists? Either way it smokes, glares, and rudely divides the Pendle and BowlandForest areas in two. As you plunge downwards you could focus on this hideous, metallic carbuncle and ponder on Lancashire’s proud industrial heritage. It’s an eyesore, but hey, it provides jobs and cement is that stuff that sticks our houses together, isn’t it? They’ve got to make it somewhere….. Don’t take your eyes off the road for too long as there’s a tricky little left part of the way down. The final stretch takes in a steep bit down through the village of Grindleton. This is a 30 mph zone and you’d be well-advised to stick to the limit with your fingers on the brakes because the gentle folk of the village have an alarming habit of looming onto the road from side streets with barely a glance. After the t-junction there’ll be a flat(tish) bit until the first feed stop. Enjoy it. Stravasaddoinfopoint: The relevant segment here is Smalden Rd Climb, and it’s relatively uncontested as most people who come up here are on the way somewhere else and there are the bigger segmentfish to fry (http://app.strava.com/segments/929789). The Professor has forbidden us from mentioning the segment from the top of this hill down to Grindleton as he is currently KOM on it and reckons that the time is easily beatable if you’re a bit naughty, like to let it all hang out on a descent, and unperturbed by the fact that you might slay a granny over the final stretch. 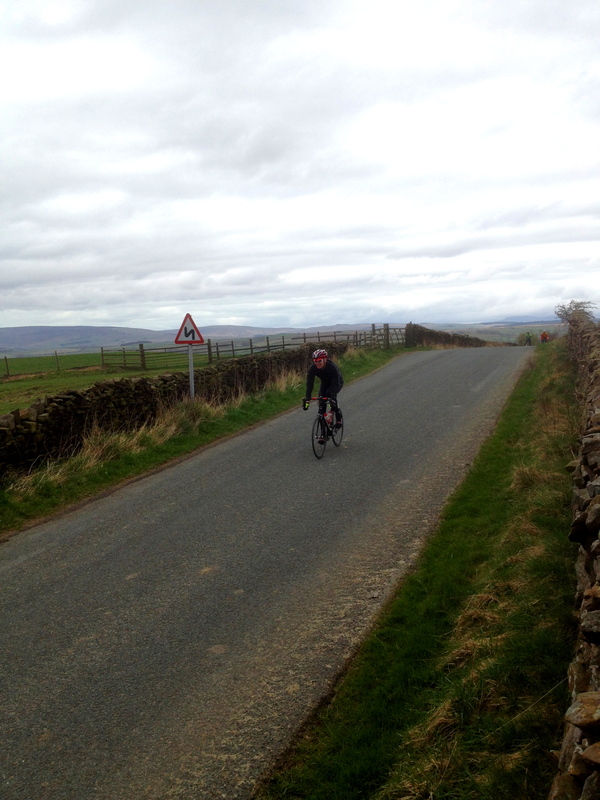 Under no circumstances are we allowed to tell you that it’s called “Grindleton Dropsy” (http://app.strava.com/segments/2544733). That would get us, and possibly you, in big trouble……..
Posted on February 26, 2013, in Bowland Badass Climbs and tagged Beacon Hill, bowland, Bowland Badass, Bowland Forest, Bowland hills, Climbs, Clitheroe, Cycling, Garmin, Grindleton, Grindleton Dropsy, segment, Smalden Lane, Strava. Bookmark the permalink. Leave a comment.